Participating in this important conversation with leading companies such as Microsoft, J.P. Morgan, Cisco Systems, Deloitte, Thomson Reuters and others will allow Monaco to sharpen its own technology and financial products such as the Monaco Wallet App, Monaco Visa Card, Monaco Auto Invest, and Monaco Credit. Monaco Technology GmbH with a vision of Cryptocurrency in Every Wallet™ is the pioneering payments and cryptocurrency platform. The Monaco Visa card and mobile app allow users to buy, exchange, and spend fiat and cryptocurrencies, such as bitcoin and ether, at perfect interbank exchange rates. Founded in June 2016, Monaco raised US$26.7 million through one of the most successful Token Sale events to date. The company is headquartered in Switzerland with offices in Hong Kong and Singapore. 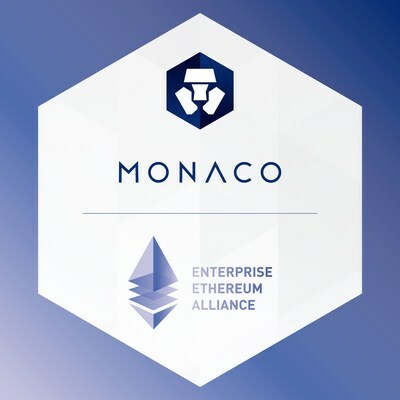 For more information on Monaco, please visit http://www.mona.co. Monaco Visa cards can be reserved with the Monaco app available for download for iOS and Android users.